The Ancient Works at Marietta, Ohio. 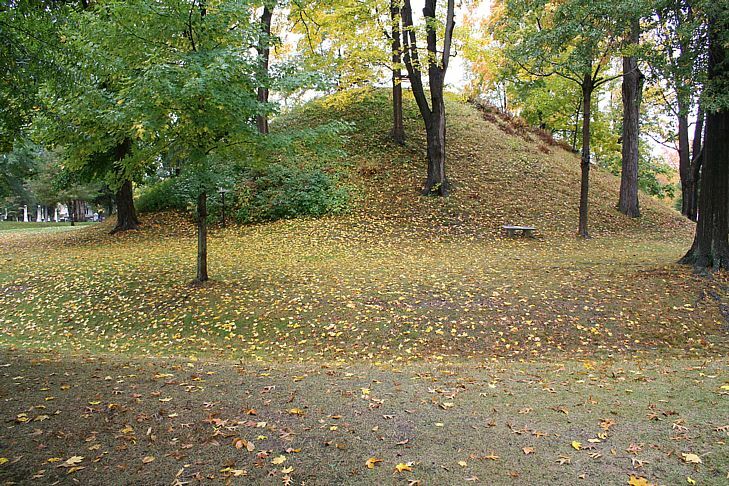 the predominant feature of an earthen embankment enclosure with four mounds. "one hundred and fifty feet long by one hundred and twenty wide, and eight feet high. It has three graded passages to its top, viz. upon the north, west, and east..."
position within the enclosure, every part of which is commanded from its summit. ..."
"... it is time an accurate map and a careful description should be placed before the public. Such a map and such a description it is here aimed to present." 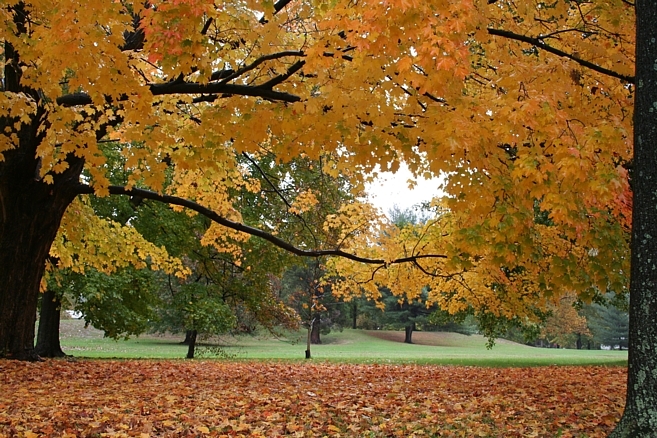 "The works occupy the high, sandy plain, at the junction of the Muskingum and Ohio rivers. This plain is from eighty to one hundred feet above the bed of the river, and from forty to sixty above the bottom lands of the Muskingum. Its outlines are shown on the map." "Within the larger enclosure are four elevated squares or truncated pyramids of earth, which, from their resemblance to similar erections in Mexico and Central America, merit a particular notice. ... one hundred and eighty-eight feet long by one hundred and thirty-two wide, and ten high..."
Image right views the southwest facing ramp of the Quadranau, from near the west corner of the enclosure (download a 1280 px deskpicture). 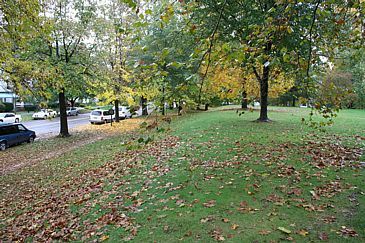 The image below views the same southwest mound slope from the south corner and from the park corner, near the former embankment gateway to the Sacra Via, the sloped way to a lower river terrace. 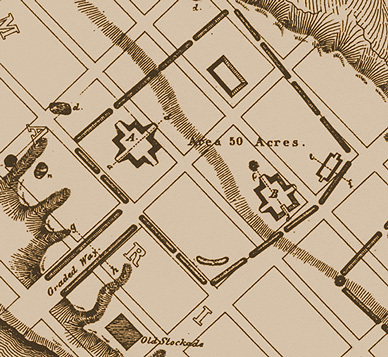 Drawing based on map originally printed in Squier and Davis, 1847. Download the printout version, a 2400 x 2000 pixel file. "It is about three-fourths of a mile long, by half a mile in width; is bounded on the side next the hills by ravines, formed by streams, and terminates on the side next the river in an abrupt bank, resting upon the recent alluvions. The topography of the plain and adjacent country is minutely represented on this map. 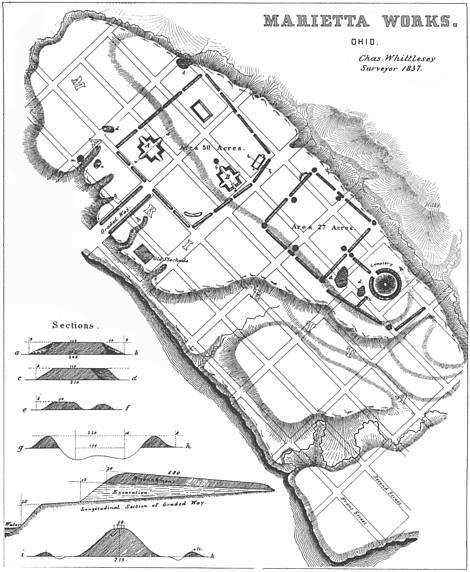 "The works consist of two irregular squares, (one containing forty acres area the other about twenty acres ) in connection with a graded or covered way and sundry mounds and truncated pyramids, the relative positions of which are shown in the plan. The town of Marietta is laid out over them; and, in the progress of improvement, the walls have been considerably reduced and otherwise much obliterated; yet the outlines of the entire works may still be traced. 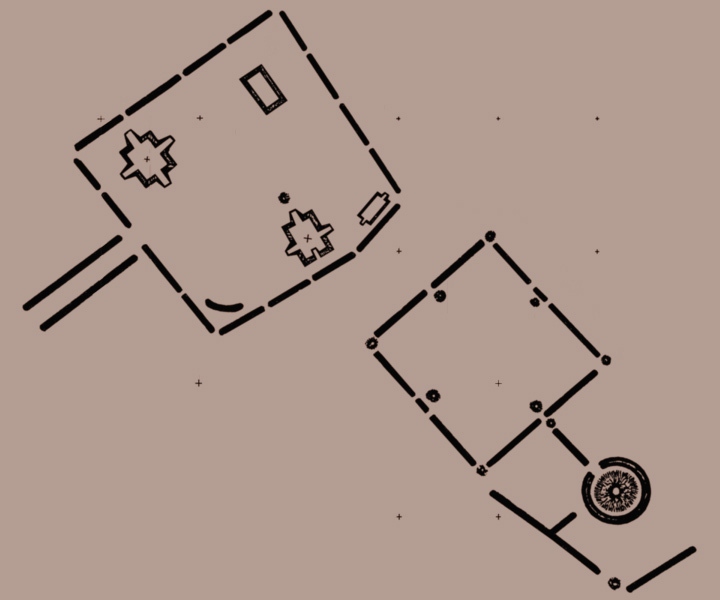 The walls of the principal square, where they remain undisturbed, are now between five and six feet high by twenty or thirty feet base; those of the smaller enclosure are somewhat less. 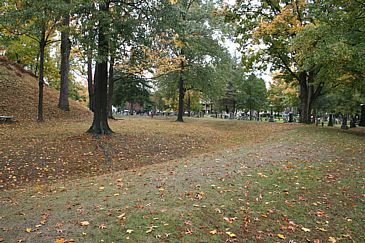 The entrances or gateways at the sides of the latter are each covered by a small mound placed interior to the embankment; at the corners the gateways are in line with it. The larger work is destitute of this feature, unless we class as such an interior crescent wall covering the entrance at its southern angle. 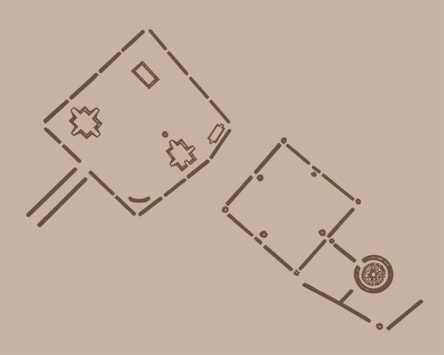 "Within the larger enclosure are four elevated squares or truncated pyramids of earth, which, from their resemblance to similar erections in Mexico and Central America, merit a particular notice.2 Three of these have graded passages or avenues of ascent to their tops. The principal one is marked A in the plan, and an engraving more clearly illustrating its features is herewith presented.... It is one hundred and eighty-eight feet long by one hundred and thirty-two wide, and ten high. Midway upon each of its sides are graded ascents, rendering easy the passage to its top. These grades are twenty-five feet wide and sixty feet long. The next in size is marked B in the plan, and is one hundred and fifty feet long by one hundred and twenty wide, and eight feet high. It has three graded passages to its top, viz. upon the north, west, and east. Those at the sides are placed somewhat to the north of the centre of the elevation. Upon the south side there is a recess or hollow way, instead of a glacis, fifty feet long by twenty wide. This elevation is placed upon an easy swell or ridge of land, and occupies the most conspicuous position within the enclosure, every part of which is commanded from its summit. 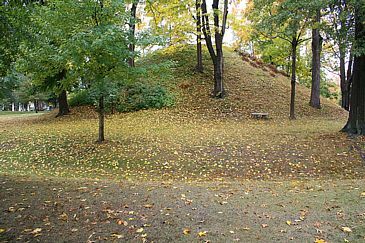 A few feet distant from the northern glacis, is a small conical mound, surrounded with shallow excavations from which the earth for its construction, and, perhaps , for the construction in part of the pyramidal structure, was taken. To the right of the elevation, and near the eastern angle of the enclosure, is a smaller elevation one hundred and twenty feet long, fifty broad, and six feet high. It had graded ascents at its ends, similar in all respects to those just described. It is now much obliterated. Near the northern angle of the work is another elevation, not distinctly marked. 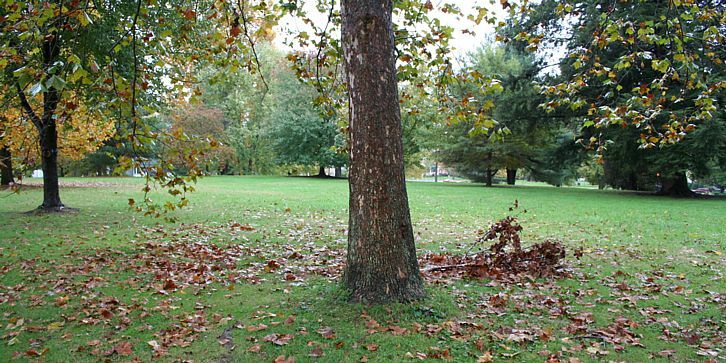 The two larger squares are covered with a close turf, and still preserve their symmetry. Indeed, no erections of earth alone could surpass them in regularity. They are perfectly level on the top, except where some uprooted tree has displaced the earth. 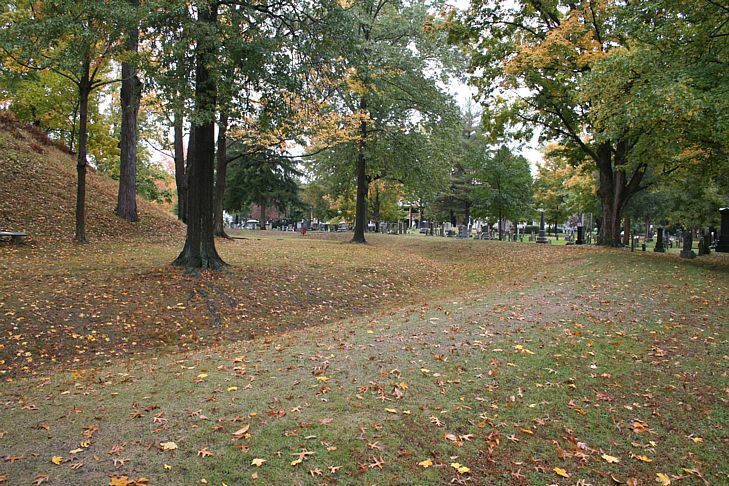 There is a passage or gateway one hundred and fifty feet wide, in the middle of the left wall of this enclosure, on the side next the Muskingum. 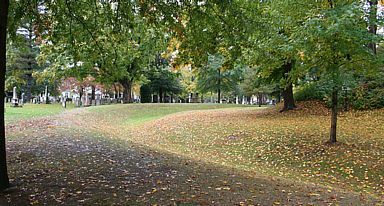 Leading from it towards the river, and at right angles to the embankment, is the Sacra Via graded or covered way of singular construction. It is six hundred and eighty feet long by one hundred and fifty wide between the banks , and consists of an excavated passage descending regularly from the plain, upon which the works just described are situated, to the alluvions of the river. 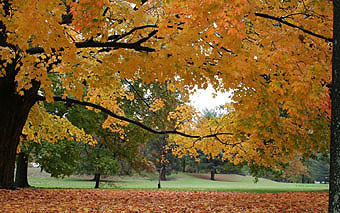 The earth, in part at least, is thrown outward upon either side, forming embankments from eight to ten feet in height. The centre of the excavated way is slightly raised and rounded, after the manner of the paved streets of modern cities. The cross section g-h exhibits this feature. 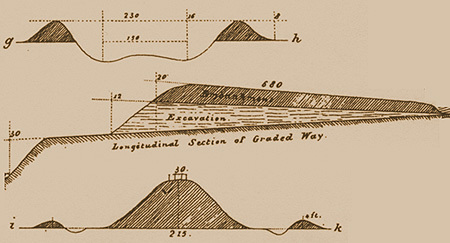 "This section is constructed from measurements taken at a point midway between the top and base of the grade. Measured between the summits of the banks, the width of the way is two hundred and thirty feet. At the base of the grade, the walls upon the interior are twenty feet high. From this point there is a slight descent, for the distance of several hundred feet, to the bank of the river, which is here thirty-five or forty feet in height. It has been conjectured by some, that the river flowed immediately at the foot of this way at the time of its construction. This is, however, mere conjecture, unsupported by evidence. If admitted, it would give to this monument an antiquity greatly superior to that of the pyramids, unless the deepening of our river channels has been infinitely more rapid in times past, than at present. But one fact favors the conjecture, and that is the entire absence of remains of antiquity upon the beautiful terraces to which this graded passage leads. They may nevertheless have been once as thickly populated as they now are; and this passage may have been the grand avenue leading to the sacred plain above, through which assemblies and processions passed, in the solemn observances of a mysterious worship. 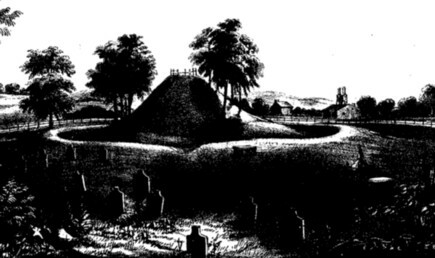 "To the south of the smaller enclosure is a finely formed truncated mound, (a view of which is given in a subsequent Plate) thirty feet high, and surrounded by a circular wall, constituting a perfect ellipse, the transverse and conjugate diameters of which are two hundred and thirty feet, and two hundred and fifteen feet respectively.3 This beautiful monument is now enclosed in the public cemetery, and is carefully guarded from encroachment. 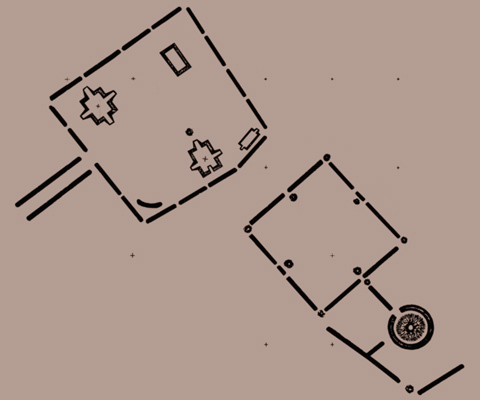 A flight of steps ascends to its summit, on which seats are disposed, and from which a beautiful prospect is commanded.4 In the vicinity occur several fragmentary walls, as shown in the map. "Excavations, or "dug holes " are observable at various points around these works. 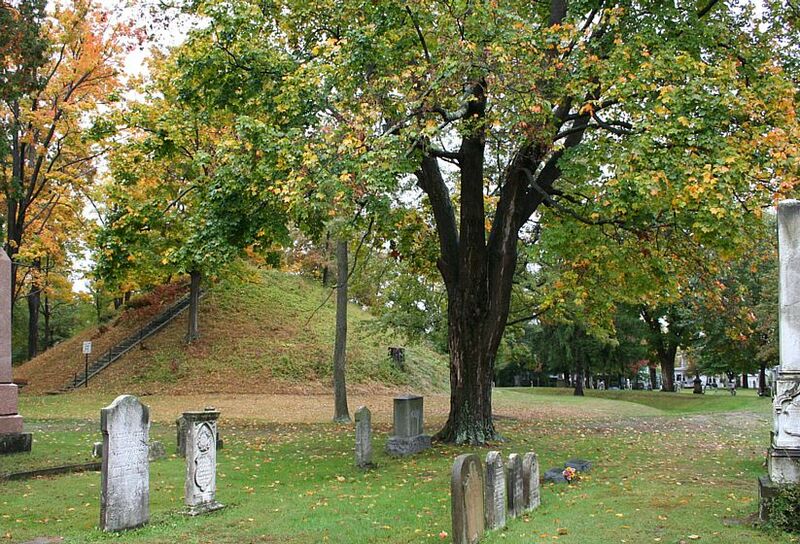 Near the great mound are several of considerable size. Those indicated by and in the plan have been regarded and described as wells. Their regularity and former depth are the only reasons adduced in support of this belief. The circumstance of regularity is not at all remarkable, and is a common feature in excavations manifestly made for the purpose of procuring material for the construction of mounds, etc. Their present depth is small, though it is represented to have been formerly much greater. There is some reason for believing that they were dug in order to procure clay for the construction of pottery and for other purposes, inasmuch as a very fine variety of that material occurs at this point, some distance below the surface. The surface soil has recently been removed, and the manufacture of bricks commenced. The "clay lining which has been mentioned as characterizing these "wells," is easily accounted for, by the fact that they are sunk in a clay bank! "Upon the opposite side of the Muskingum river are bold precipitous bluffs several hundred feet in height. Along their brows are a number of small stone mounds. They command an extensive view, and overlook the entire plain upon which the works here described are situated. "Such are the principal facts connected with these interesting remains. The generally received opinion respecting them is, that they were erected for defensive purposes. Such was the belief of the late President HARRISON, who visited them in person, and whose opinion, in matters of this kind, is entitled to great weight. The reasons for this belief have never been presented, and they are not very obvious. The number and width of the gateways, the absence of a fosse, as well as the character of the enclosed and accompanying remains, present strong objections to the hypothesis which ascribes to them a warlike origin. And it may here be remarked, that the conjecture that the Muskingum ran at the base of the graded way already described, at the period of its erection, seems to have had its origin in the assumption of a military design in the entire group. Under this hypothesis it was supposed that the way was designed to cover or secure access to the river an object which it would certainly not have required the construction of a passageway one hundred and fifty feet wide to effect. The elevated squares were never designed for military purposes,—their very regularity of structure forbids the conclusion. They were most likely erected as the sites for structures which have long since passed away, or for the celebration of unknown rites, —corresponding in short, in purpose as they do in form, with those which they so much resemble in Mexico and Central America. Do not these enclosed structures give us the clue to the purposes of the works with which they are connected? As heretofore remarked, the sacred grounds of almost every people are set apart or designated by enclosures of some kind. "The absolute identity in size between the smaller enclosure, (which varies a little from a true square,) and several of those which occur in the Scioto valley, should not be overlooked, in any attempt to educe the character and design of the group. That there is some significance in the fact is obvious. .... The valley of the Muskingum is for the most part narrow, affording few of those broad, level, and fertile terraces, which appear to have been the especial favorites of the race of mound-builders, and upon which most of their monuments are found. As a consequence, we find few remains of magnitude in that valley, until it assumes a different aspect, in the vicinity of Zanesville, ninety miles from its mouth .... "
2.) 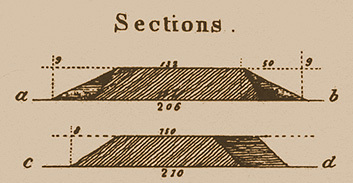 The description of the two principal truncated pyramids embodies the substance of an account of the same, published by Dr, S. P. HILDRETH of Marietta, in the " American Pioneer " for June, 1843 the entire fidelity of which has been attested by actual survey. 3.) Such is the result of careful measurements made by Dr. JOHN LOCKE, whose accuracy in matters of this kind, as in all others, is worthy of emulation. 4.) A very laudable disposition has been manifested, on the part of the citizens of Marietta, to preserve the interesting remains in their midst. The Directors of the Ohio Land Company, when they took possession of the country at the mouth of the Muskingum, in 1788, adopted immediate measures for the preservation of these monuments. 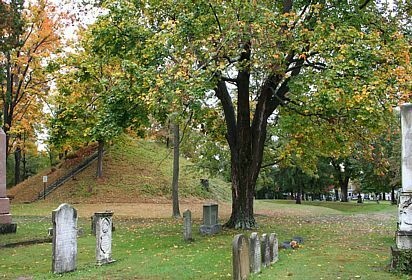 To their credit be it said, one of their earliest offcial acts was the passage of a resolution, which is entered up n the journal of their proceedings, reserving the two truncated pyramids and the great mound, with few acres attached to each, as public squares. 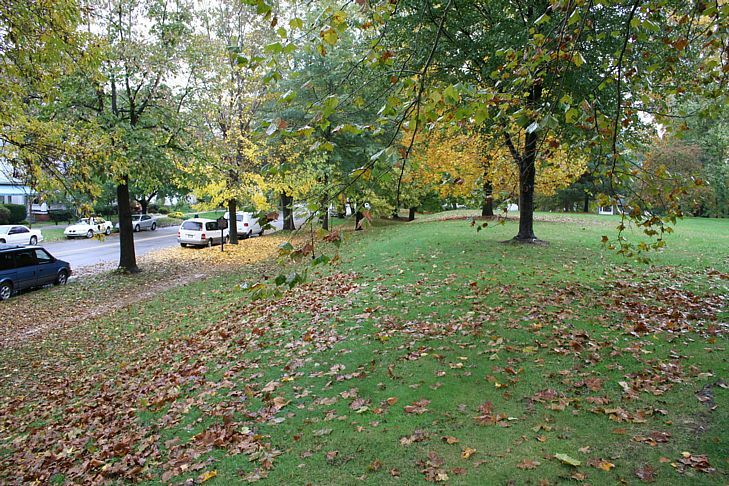 They placed them under the care of the future corporation of Marietta, directing that they should be embellished with shade trees, when divested of the forest which then covered them, which trees, it was added, should be of native growth, and of the varieties named in the resolution. 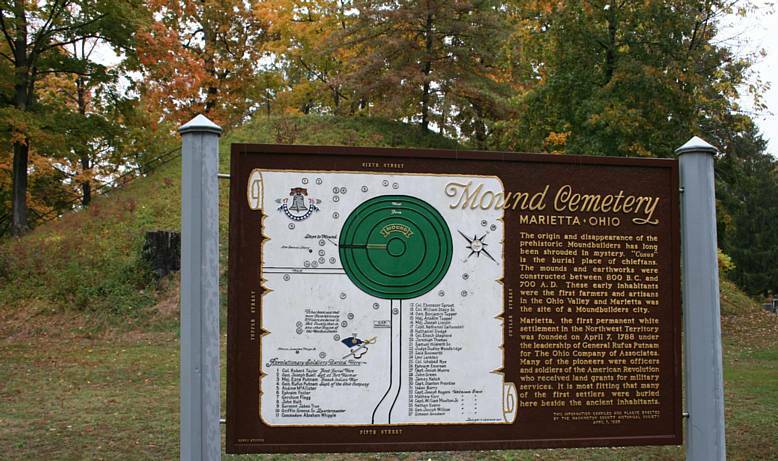 The great mound with its surrounding square was designated as a cemetery, and placed under the control of trustees, Ten years ago, these structures being yet unenclosed and much injured by the rains washing through the paths caused by the cattle that roamed over them, the citizens raised a sum of money adequate to the purpose, and fully restored them. The magnificent avenue named, not inappropriately, by the Directors Sacra Via., Sacred Way, but now generally known as the "Covered Way," was also preserved by a special resolution of the Company, "never to be disturbed or defaced, as common ground, not to be enclosed." 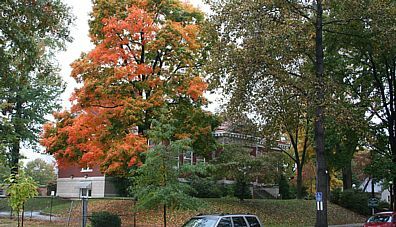 One of the streets of Marietta, Warren street, passes through this avenue. It is, of course, impossible to resist encroachments upon the walls of the enclosures, which are rapidly disappearing. Had a similar enlightened policy marked the proceedings of all the early companies and settlers of the West, we should not now have occasion to regret the entire obliteration of many interesting remains of antiquity. Or did a similar disposition exist generally, there would be less necessity for a careful systematic, and immediate survey of our remaining monuments. The works at Chilicothe, Circleville, Cincinnati, and St, Louis, might have been preserved with all ease; and would have constituted striking ornaments to those cities, to say nothing of the interest which would attach to them in other points of view. It is proper to observe, that the facts embraced in this note were kindly communicated by Dr. S, P. HILDRETH, of Marietta." Above. View of the Quadranau from the north corner. Below. 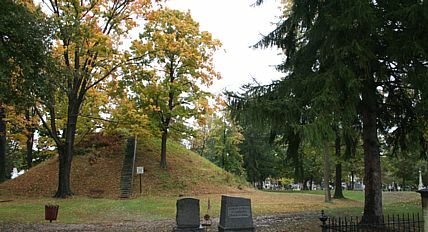 Northeast top of Quadranau Mound, looking southeast. 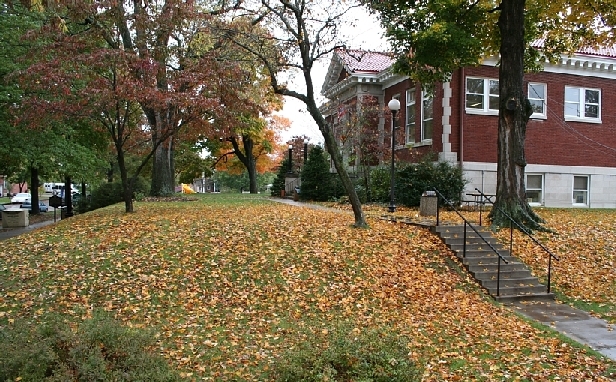 serving today as ground-level entrance to the Washington County Library. Marietta Works illustrations derived from Squier and Davis.